Curious about the beer brewing process? Want to start your own home brew hobby but don’t know where to start? Looking for a lighthearted evening of networking? 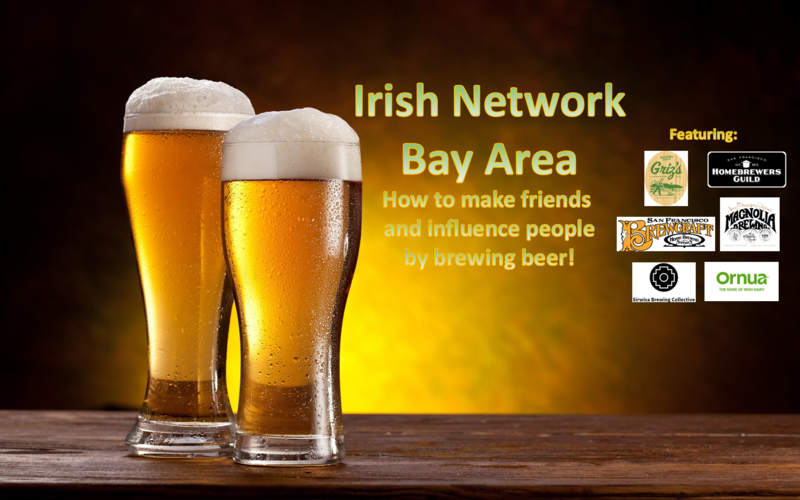 Come join our sister organization, the Irish Network Bay Area, for an interactive night of homebrewing education. They will have master home brewer Andre Sanchez from San Francisco Brewcraft on hand to go over everything you need to know to start your own micro brewery from your living room closet. INBA’s own Nick Ginger will also be on hand defending his title win from last year's event with his latest brew made from an award winning San Francisco recipe!